I have written before about Zorin OS 6 (http://www.everydaylinuxuser.com/2012/07/zorin-6-best-operating-system-i-have.html) which is the main Zorin operating system for general everyday use. I am a real fan of Zorin. Very few distributions work perfectly straight out of the box. There is always one hurdle or another that needs to be jumped in order to get the system into a state of readiness. Generally though once you get past the little intricacies that must be performed to get a Linux operating system working they work very well. For instance recently I wrote an article about Bodhi 2 (http://www.everydaylinuxuser.com/2012/09/bodhi-210-quick-albeit-little-quirky.html). In that article I noted a few problems I had getting MP3s to play and using the Bodhi App Installer. I have now been using Bodhi 2 for almost a month on my Acer Aspire One Netbook and I have no plans to change it because it fits very well with the way I work on my Netbook. 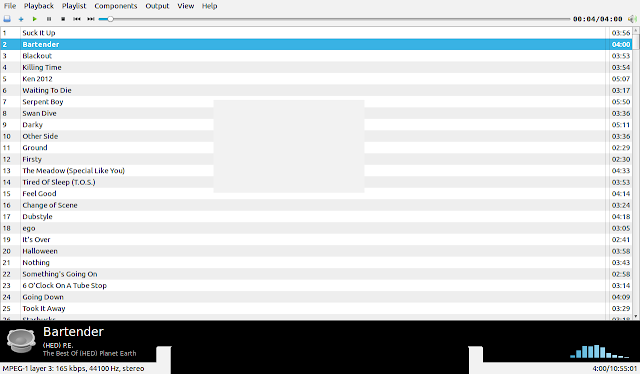 Zorin OS 6 does not seem to have any quirks that need ironing out to get it working. It just works. 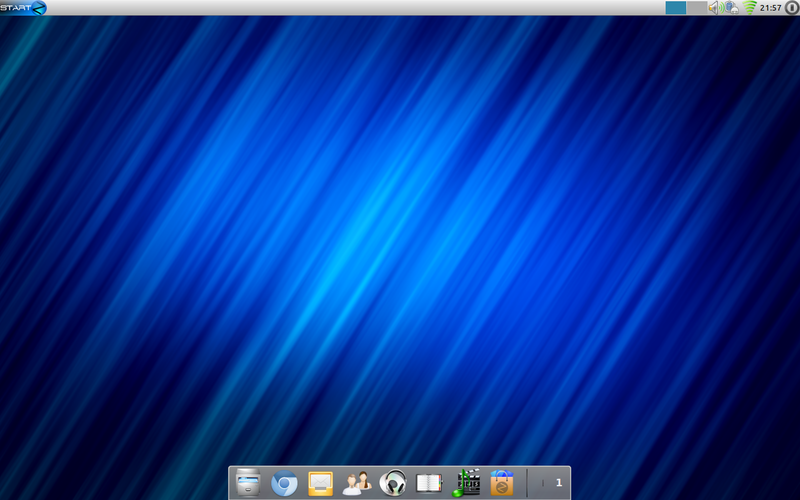 Zorin OS 6 Lite is designed to work on computers that have lower resources available than is required to run Zorin OS 6. Zorin OS 6 adds a bit of razzmatazz with the use of Compiz and the applications included have a heavier footprint than Zorin OS 6 Lite. 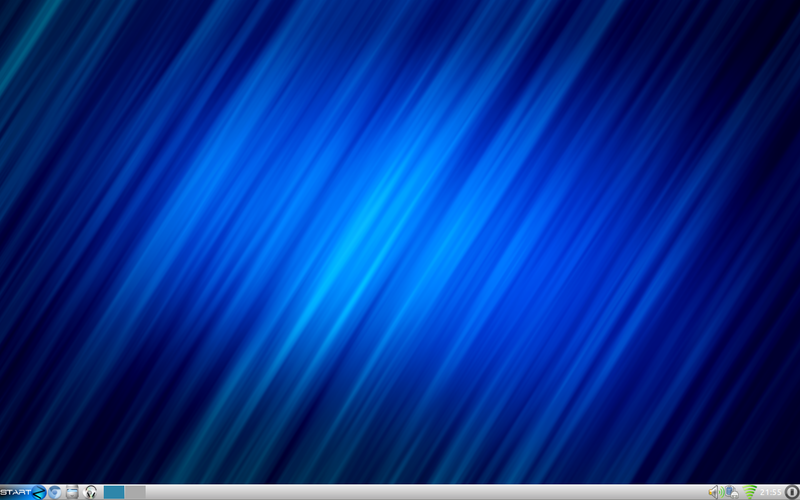 Zorin OS 6 Lite is based on Lubuntu 11.10 and uses LXDE. As you can see from the screenshot above the look and feel will be quite familiar for Windows users. There is a single task bar at the bottom with a start button and quick launch icons and in the bottom right system tray icons. The default look and feel in Zorin OS 6 Lite is meant to imitate Windows 2000. One of the great things about Zorin is the ability to change the look and feel to make it look like another operating system. 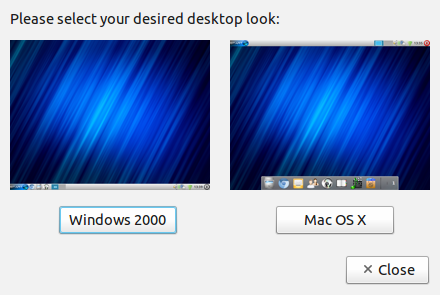 The Zorin look changer in Zorin OS 6 Lite gives you the choice of the Windows 2000 desktop or the Mac OS X desktop. As Zorin is built on a derivative of Ubuntu connecting to the Internet is easy. If you are using the Windows 2000 desktop click the icon in the system tray next to the clock in the bottom right hand corner. If you are using the Mac OS X desktop the same icon is next to the clock in the top right hand corner. Both my main home broadband and mobile broadband connections were available. Simply entering the encryption key had me connected within seconds. Zorin OS 6 Lite comes with the Chromium browser which is good because it is my favourite and it saved me downloading it from the repositories. If you prefer to use a different browser you can run the Internet Browser Manager and install your preferred option. Generally once I have installed an operating system I try the same things out to make sure I have a base system which can be built upon. After connecting to the internet I always go to YouTube to make sure I can watch videos. Now some of you might think watching YouTube videos isn’t really a life or death situation but I use YouTube as a learning aid (http://www.everydaylinuxuser.com/2012/09/the-5-best-sources-of-support-for-linux.html). Zorin OS 6 Lite did not let me down. Flash was installed along with the operating system. 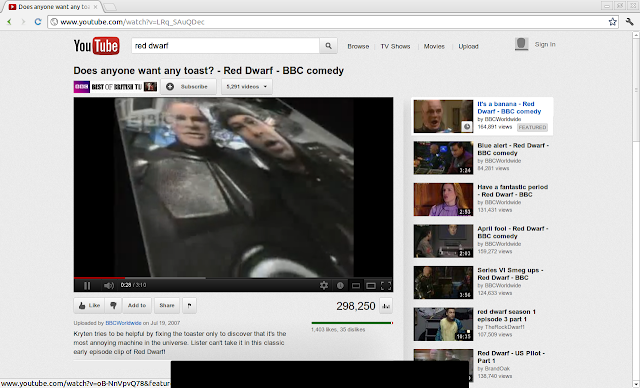 The next thing I try after the internet and YouTube is whether MP3 files play within the provided music player. The music player installed within Zorin OS 6 Lite is Audacious. Now Audacious is nowhere near Rhythmbox in terms of functionality but I was able to load in all my MP3 files and play them which means all the codecs for playing MP3s are installed along with the operating system as well. Zorin OS 6 Lite is definitely lite on the software front. I have already mentioned that for browsing the internet Chromium is installed and that Audacious is available for listening to music. There are the standard set of tools that are common to LXDE including calculator and the Leafpad editor. There is also a terminal and sticky notes. The graphics section of the menu is lacking with just a document viewer, image viewer and scan facility. In the internet section as well as Chromium there is the Pidgin Instant Messenger program and Postler Mail client. For Office software there is Abiword for writing documents, Dexter for organising contacts and the Osmo Personal Organiser. There are a number of ways to install extra software within Zorin including the Software Center, Synaptic and the Zorin OS Lite Extra Software tool. Now the item of software missing from the installation that I really needed was a screen capture tool. The extra software application doesn’t have one of these listed but as you can see there are some useful tools and so upon seeing the above screen I thought it is always good to have WINE installed as well as the VLC player. Remember at the beginning of the article when I said that a lot of distributions have one or two hurdles that need to be jumped to get it working perfectly. Well here it is. Upon clicking the install button of any of the applications I received an error. I decided to run Synaptic instead to install a screenshot tool but the list of available packages was very small. Now at this point I did two things. Firstly I placed the USB drive back into the drive that I used to install the system and I enabled the repository for the USB drive. Secondly I clicked Reload. After performing these steps a much larger list of software was made available including the screenshot tool which has been used to provide the images for this article. I then realised that the problem with the Extra Software installer might have been caused by the lack of available software in the repositories so I ran it again and this time when I tried to install VLC player it worked. Zorin 6 OS Lite is very good and makes for a perfect base installation to work with. As there are very few packages installed you can customise Zorin 6 OS Lite in any way you see fit. Maybe you want to create a games machine or if you want to use it for everyday use you can always install the heavier office software applications like LibreOffice. If you have an old computer and continue to run an older version of Windows then you know that the people who created it don’t care about you any more, making you susceptible to security risks with substandard software and no support. It is a much better proposition to run Zorin OS 6 Lite with applications designed to work on older systems and that are still supported. Is there any driver for wireless…something like b43 driver..broadcom…in zorin os lite? I think the wireless drivers are the same ones supplied with Ubuntu. I've tried 3 different computer with different cards and they are all supported in Zorin OS Lite. I can't vouch for the b43 driver because I do not have a broadcom device. The Above link is bad. I buy Ralink usb wifi adapter from Ebay. Just plug them in and they work with Xubuntu, Kubuntu They work with Debian if you install the Ralink firmware package. 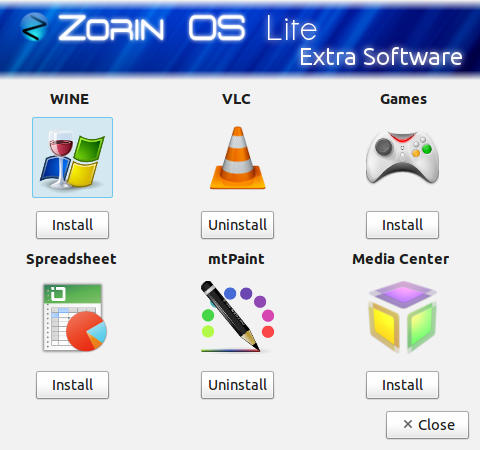 I like Zorin lite as well, while it will tell me that I have a Ralink pcimia card, it will not install it. When I use the driver finder, it does not locate any drivers. Anyone with a solution? Can you explain how to do this? " I placed the USB drive back into the drive that I used to install the system and I enabled the repository for the USB drive. Secondly I clicked Reload. " I would greatly appreciate it. Well, I have an Asus 900 HD XP netbook with a 900 MHz processor that came with only 1G of RAM, and I have this set up as a DUAL BOOT , can choose between Zorin Lite and Windows XP. and I am finding running Zorin Lite is a PIA, because unless I boot up the machine and walk away for a few minutes letting it do whatever, like the UPDATE MANAGER doing its' thing, the Chrome browser nearly freezes up, and I get those NON RESPONSIVE pop ups. So I have been thinking of trying Firefox instead, or just firing Zorin from this machine. IMO, even 900 MHz with just 1G of RAM is not enough, even for Zorin Lite. Can I use usb wifi on Zorin OS 6 Lite?? If I want to get some software which compatible with Zorin, where can I get it? A usb wifi should work fine with Zorin. Plug it in and boot your computer. Your network icon in the system tray will show all wireless networks if the wifi device is working. (There is probably a blinking light on the wifi device as well which shows it is working). If this does not work straight away you might need to install some drivers to get it working. Let me know the make and model if it doesn't work straight away. I am in the UK and a cheap £3.99 drive I bought in Tesco works fine. Zorin uses the Ubuntu Software Center or Synaptic and will run debian packages. Is it possible to install Zornin OS on a MAC machine if yes then can you tell me how? I am afraid I have never had a MAC so I don't know the answer to this. It is probably worth asking in the Zorin IRC chat room or on the Zorin forums. Since new Macs are Intel based, Zorin might just work. My very first Linux system was a Power Macintosh 7600 way back in 1998. I used a PowerPC version of Red Hat 5 and set it up to dual boot Linux and MacOS 9. It was a challenge but it worked. I did this because I wanted to run an intranet server from my office, and since my Mac had little to do in a Windows enterprise I chose that platform. The problem was web servers for MacOS 9 started at $500 USD. What I wanted was a version of Apache that would run on Macintosh, and the only thing available was the Apache server bundled into MacLinux. In those days it was a big jump from MacOS 9 to any version of Linux or Unix. This isn't the case now since OSX is based on BSD. Just get Zorin, burn it on a CD and take it for a test drive on your hardware in a Live session. your article is full of knowledge.i got a large of information from your article.thanks for sharing. That was a better post ! One of the best post about OS, definitely will try to use this OS.